Irving Library is home to several makerspaces. We would like to continue to add to what we can offer students. We would like to add a button-maker to our makerspaces. This addition would allow students to create wearable pieces of art and self-expression. Like artist, William Estrada, we also feel students could use the buttons to create pieces that advocate for things they feel strongly about. For example: when students do their civic action research, they may want to create a button denouncing bullying or adopting a pet. This is a great way to engage others in the Irving community of scholars into some meaningful dialogue. Requesting $231.00 plus cost reimbursement. Thank you so much to our donors! We ordered our button maker yesterday. Teachers are excited to put it to good use. Our first plan is to use it for 6th grade students to create buttons advocating for their topic of choice when they write their persuasive essay 4th quarter. The library will offer it as a maker space for students who want to express themselves or advocate. We very much appreciate your support of the Irving Library. 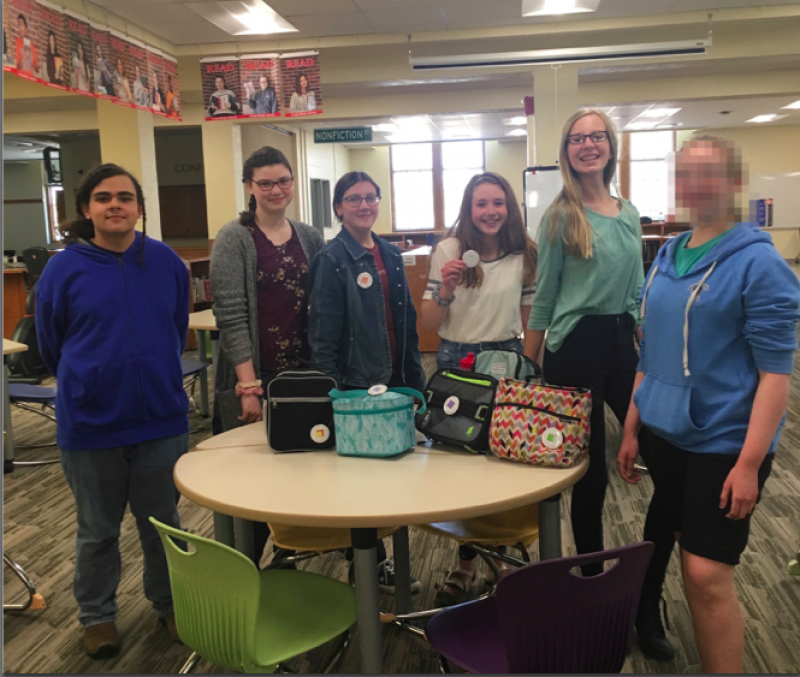 Our button making supplies have arrived and a group of students has used it to identify themselves as the Library Society Lunch Bunch. Thank you again for funding our button maker. We have lots of groups anxious to use it.